At its best, drafting players is a high-level gamble, and that comes after scouts have had five, 10 or more opportunities to see a player in action. But what about when scouts can't see that player -- how are they supposed to file a fair evaluation? That's the conundrum facing NHL teams when their turn comes to pick and highly talented Prince George Cougars right wing Brett Connolly remains on the board. Are teams going to get the player who scored 30 goals as a 16-year-old in the WHL -- the first 16-year-old to score at least 30 goals in the league since Patrick Marleau in 1995-96? Or are they going to get the injury-plagued forward who was limited to just 16 games this season due to persistent hip flexor injuries? As a WHL rookie last season, Connolly's 30 goals and 60 points was enough to earn him Canadian Hockey League rookie of the year honors, finishing ahead of the Brampton Battalion's Evgeny Grachev (a 2008 New York Rangers draft pick) and Drummondville Voltigeurs defenseman Dmitry Kulikov (a 2009 Florida Panthers first-round pick). 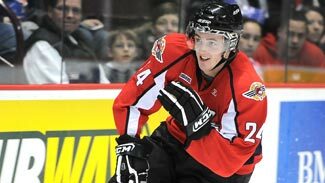 He also had 6 points in six games for Canada at the 2009 World Under-18 Championship. "Brett Connolly might best be compared, in so many ways -- both high-end skill, ability to dominate a game, with Peter Forsberg," NHL Central Scouting Director E.J. McGuire told NHL.com. "On the unfortunate side, Peter Forsberg's NHL career was hampered throughout by injuries. Hopefully for Brett the injuries are part of his junior career and not his future, which is bright." Connolly's problems started in August at the Memorial of Ivan Hlinka Tournament, where he suffered an injury to his right hip. "He missed a couple games, came back for the final, but he shouldn't have played," Prince George coach Dean Clark told NHL.com. "He skated with us in the preseason. He missed a little bit of the start of (training) camp, started the season, hurt it again." Connolly had 6 points in his first seven games, but then had to step out of the lineup for seven weeks to let the injury heal. When he returned in late November, he played just five more games before injuring his left hip. He admits now that he came back far too soon from the initial injury. "It being my draft year and the team not doing too well, I felt I had to do something," Connolly told NHL.com. Unfortunately, what he did was suffer a slightly more severe injury to his left hip. "First it was the one hip and he came back and pressed things and compensating and hurt the other side worst," said Clark. "That's how the injuries went." This time Connolly would miss three months. He returned for the final few games of the season, but in all he played just 16 games, totaling 10 goals and 19 points. "Just a hip flexor tear or strain," Connolly told NHL.com. "It was multiple micro-tears. Just needed to be looked after, had to be off it for a while." With no surgical option for a quick-fix, Connolly had to have patience and go through the process of rehabilitating and strengthening the area. "We sent him to Vancouver to see a specialist to make sure there wasn't something genetic that wasn't right," said Clark. "But that came back fine, and it was more just rest and physiotherapy and strengthening the area." There's never a good time for a player to be hurt, but for a 17-year-old knowing he was going to be evaluated by NHL scouts from all 30 teams, it's a debilitating blow psychologically. "It was a season to forget, for sure," Connolly told NHL.com. "I got in 16 games out of 72 and that was it, so it was definitely a hard season for myself." Connolly and Clark did their best to turn the setback into a positive experience, but as Connolly bluntly said, "It sucked. It sucked sitting out." The only silver lining he could find, he said, was, "If something like this ever happens again I know how to handle it. I know not to come back too soon." Despite those hard times, scouts never lost faith in Connolly's skills. He's been the top-ranked WHL player since Central Scouting's preliminary rankings had him the No. 1 player in the league in November. He was No. 4 in Central Scouting's midterm ranking of all North American skaters, and moved up to No. 3 in the final ranking. "I think the fact that he rose up in the rankings in some guys' minds speaks highly of him as the type of player he is and type of kid he is," said Clark. "When he's playing healthy he's definitely a dominant player," Central Scouting's B.J. MacDonald, who covers the WHL, told NHL.com. 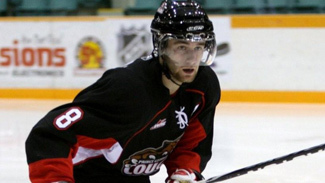 "He puts the puck in the net," added Peter Sullivan, another WHL scout for Central Scouting. "He's got good size, great on-ice awareness. He's not a crasher or a banger, but he finishes his checks. He does everything well." After Prince George's season ended, Connolly played a few games for Canada at the IIHF World Under-18 Championships in Belarus. Despite the team finishing sixth, Connolly said it was the best he felt playing since the '09 tournament. "I had lot of chances, but some games I didn't have puck luck," he said. "But that's going to happen. For the team it was pretty disappointing ... but for myself I felt I showed that I was healthy and showed what I can do." He also showed what he could do at the NHL Scouting Combine, where he was watched closer during the physical testing portion of the event than maybe any other player. Teams grilled him about just how healthy he is, and will pore over every result from the fitness testing and every aspect of the medical report. Connolly said he understands just what is at stake for the clubs considering drafting him. "It's a business and they have to do that," he said. "They can't waste a first-round pick on a guy who's going to have injury problems."